Understanding and Reading the Postgres System Catalog — The System Catalog is a schema of tables and views that contain metadata about the other objects inside a database, and more. Use it to discover when various operations happen, how tables or indexes are accessed, etc. SQL vs. Flux: Choosing the Right Query Language for Time-Series Data — An examination of the strengths and weaknesses of SQL, and why query planners exist, by way of comparing TimescaleDB (a PostgreSQL extension) and InfluxDB. Real-time Postgres Performance Monitoring — Collect out-of-the-box and custom Postgres metrics and correlate them with your infrastructure, application, and log data. 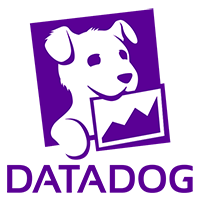 Gain real-time performance insights, search and analyze distributed traces, and set intelligent alerts with Datadog. Try it free. Simple Monthly Reports with 'generate_series' — Working with dates and/or a series of dates is easy in Postgres, especially when using generate_series. pgenv: A New, Simple Postgres Binary Manager — A new, simple, shell-based utility to build and run different releases of Postgres including switching between them. Ideal for compatibility testing against apps. Designing the Most Performant Row Level Security Strategy — An interesting comparison of a few ways to implement row level security in Postgres. Taking a Tour of PostgreSQL with Jonathan Katz — The co-organizer of NYC PostgreSQL User Group discusses how Postgres started and how it has grown over the years. Using Kubernetes to Deploy Postgres — How to run a PostgreSQL database on a Kubernetes cluster using Docker containerization. Using the CIS PostgreSQL Benchmark to Enhance Your Security — How to use the CIS PostgreSQL Benchmark to secure your database. PostgresOpen SV 2018 — September 5-7 (San Francisco, CA) Two days packed with tutorials and presentations about PostgreSQL. PostgreSQL Conference Europe — October 23-26 (Lisbon, Portugal) The 10th Annual PostgreSQL Conference Europe which will be held at the Lisbon Marriott Hotel. PostgresConf South Africa 2018 — October 9-10 (Johannesburg, South Africa) An opportunity for the database administration and developer community to exchange ideas and learn about current features and upcoming trends.